On the morning of June 28, 2009, military officials forced then-president of Honduras, Manuel Zelaya, into exile on a plane bound for Costa Rica. Shortly after, Robert Micheletti, president of the National Congress, was sworn in as president stating, “I am not going to step aside, nor am I going to ask permission to step aside temporarily, that is not possible… I will watch the passage of power from the Casa de Gobierno and in the moment in which Porfirio Lobo is imposed as president, I will get up and go to my house with my family.”[i] This turning point in Honduran politics marked a new era defined by conservative politicians eager to strengthen their own power. In doing so, these politicians, under the banner of the right-wing party, el Partido Nacional, have greatly expanded the role of the Honduran military which they have justified as an attempt to tackle endemic problems related to crime and corruption. 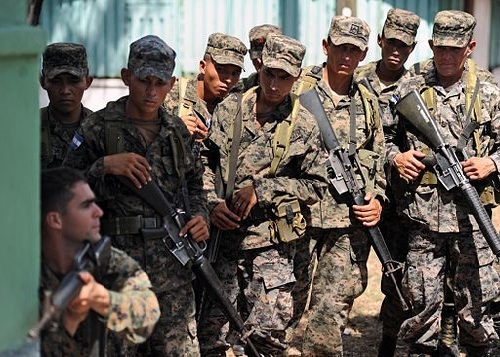 Unfortunately, this recent push toward militarization has deepened Honduras’ cycle of impunity and ratcheted up abuses committed by the military. Honduran military expansion began with the presidency of Porfirio Lobo Sosa. [ii] Under his rule, the Honduran Congress, in November 2011 modified the constitution, allowing the military to fill roles previously reserved for the police. Lobo soon began using the military to patrol cities, airports, tourist locations, and entire neighborhoods. [iii] On February 8, 2013, his administration announced that it would be sending soldiers to patrol Tegucigalpa and San Pedro Sula, two of the largest cities in Honduras. [iv] In August of that same year, he proposed a measure that would put soldiers in charge of prisons, stating that this would “end the reign of criminals in our prison system, which has done so much damage to our society.”[v] In so doing, Lobo set a dangerous precedent that epitomizes the right-wing government’s tendency toward militarization and regressive police tactics justified as a way to fight corruption and criminality. The current president, Juan Orlando Hernandez, has employed similar arguments to justify his own military expansionist policies. During his 2013 campaign, Hernandez ran on a hardline, authoritarian platform with the slogan, “a soldier on every corner”[vi] and has since drastically expanded the militarization undertaken by Lobo’s administration. The military now patrols schools, buses, and roads. With this push toward militarization, it is currently impossible to travel in Honduras without coming into contact with a military checkpoint. Under Hernandez, a decree came into effect on June 27, 2013 that established a special police unit known as Tropa de Inteligencia y Grupos de Respuesta Especial de Seguridad (Intelligence Troop and Special Security Response Groups, TIGRES). [vii] The justification for creating this special unit was to bolster national security and strengthen police institutions, but in reality, it simply gave the state more direct control over the police. On August 22, 2013, the state further expanded the military’s reach with the creation of the Public Order Police, an outfit of at least 3,000 police officers who take orders from the military. Honduran military officers have also been implicated in the murders of land rights and environmental activists since the coup and have systematically ignored the pleas of environmental activists while prioritizing the privatization of land without regard for the environmental and health consequences. Global Witness has recently referred to Honduras as “the deadliest place to defend the planet”. [xv] In fact, since the coup, more than 123 activists with ties to indigenous and rural communities – many of which have opposed private business encroaching on their territories – have been assassinated. [xvi] Last year’s murder of beloved indigenous activist Berta Cáceres, who had been campaigning against the acquisition of land by the company Desarrollos Energéticos, SA (DESA), received widespread condemnation by the international community. [xvii] The incident demonstrates both the failure of the Honduran government to adequately protect activists and the complicity of high-ranking politicians and military officials. Such abuses could soon be allowed by law as recent reforms to the criminal code – redefining the word “terrorist” – will likely subject more innocent civilians to unjust retaliation. President Hernandez submitted these reforms in January and they have since been approved by the 128-member National Congress. Various human rights organizations view these changes as infringing upon citizens’ right to free speech and the United Nations Office of the High Commissioner of Human Rights (OHCHR) has expressed serious concerns about them. Foremost among them is the concern with the new definition of “terrorist” as anyone who “seeks to assume the powers that belong to the State such as taking territorial control… causing fear, putting in grave risk, or systematically and indiscriminately affecting the fundamental rights of the population.”[xxiv] In fact, since the 2009 coup, all Honduran administrations have argued that protesters violate the rights of the Honduran citizens because they block the streets. [xxv] After eight years of this stunted perspective, the new law now officially criminalizes protests and demonstrations as acts of terrorism. The OHCHR and other international human rights organizations are also concerned that the new reform will grant immunity to members of Honduran law enforcement and the military. Most tellingly, Article 25 of the criminal code now states that law enforcement officials are immune from prosecution anytime they fire their weapons in the line of duty. [xxvi] This stipulation will likely lead to further military abuse especially when faced with a growing protest movement. 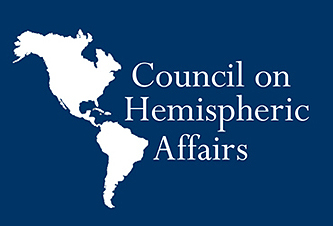 Since the 2009 coup and the resultant right-wing political trend, such attempts to expand Honduras’ military might – whether legal or informal – are patently detrimental to democracy and in violation of a number of human rights. The government is clearly placing more control in the hands of corrupt politicians and elites, who in turn use the power of the military to quash dissent, eliminate opponents, and protect business interests. 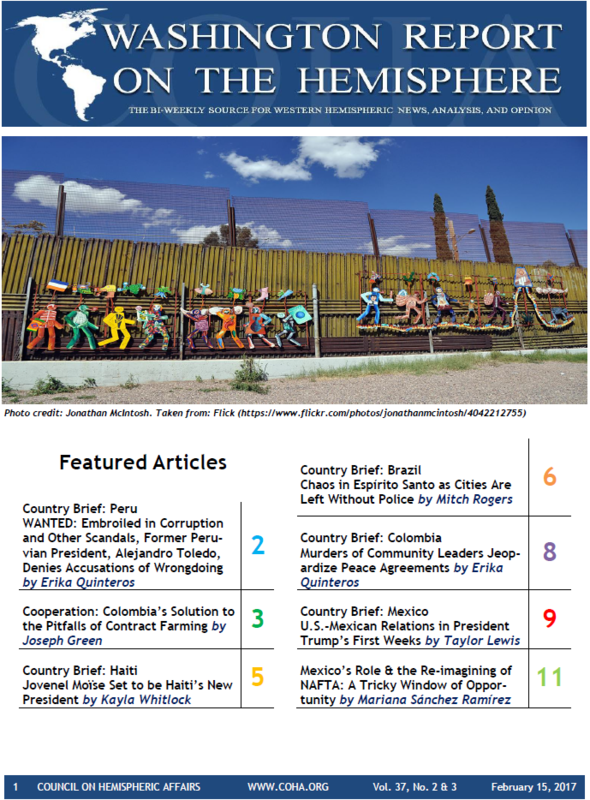 The conflict in Bajo Aguán and the murder of Berta Cáceres are prime examples of the increasing levels of injustice in Honduras. The fact that the Honduran military has been implicated in these injustices points to its ties with the most powerful families and business elites in Honduras. Activists and peasants are not the only ones facing danger; the Office for the National Human Rights Commissioner of Honduras reported that 43 journalists have been murdered between 2010 and 2014. [xxvii] It is therefore apparent that anyone critical of the right-wing Honduran government and its vested business interests is in danger. With Hernandez having just won his unconstitutional bid for candidacy on March 13 (the ostensible reason for deposing Zelaya),[xxviii] Honduras is moving ever-more towards dictatorship. While this level of hypocrisy and impunity should not be tolerated, it seems less likely than ever that the U.S. will take a firm stand against the regime under the new “America First” policy of the Trump Administration. It is incumbent therefore on human rights groups and other international bodies to continue to denounce and pressure the Honduran government in hopes of halting its militaristic policies.